In May, 1230, an eclipse overwhelmed the sky, blurring the lines between day and night. What does this mean in the Dark Medieval World? Ask five people, expect ten answers. 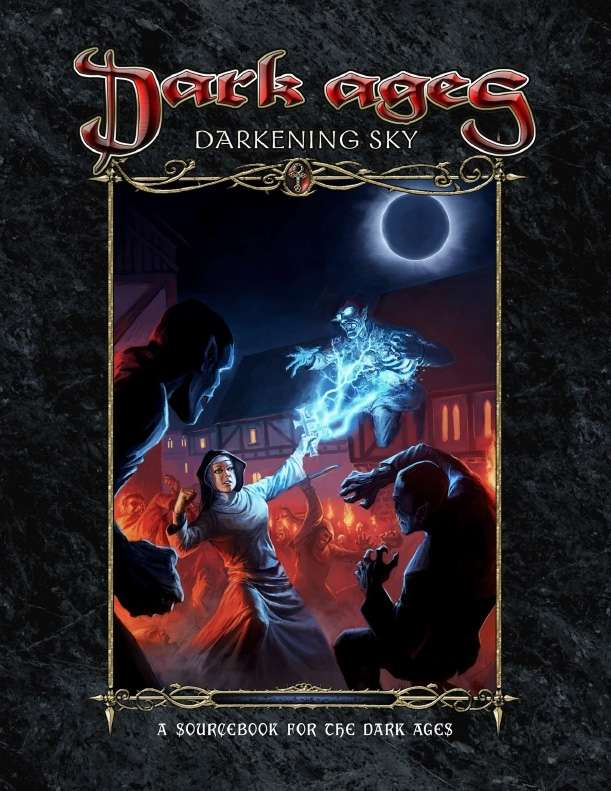 Darkening Sky is a series of five stories for the Dark Ages game lines. You’ll find a story for Fae©, Inquisitor©, Mage©, Vampire©, and Werewolf© inside, each with a unique twist on the 1230 eclipse. Each story is a fleshed out toolkit for exposing players to the horrific events surrounding the eclipse. Play these stories as part of existing chronicles, or use them to launch dark new epics. Each of these stories offers tools for running the game in the other four game lines. This title was added to our catalog on January 29, 2014.